What Are Counters and Anti-Counters in Magic? Any player worth their "Mana Drain" knows about countering, an ability the blue faction specializes in. Most counters are instant spells that you chain onto opposing cards, "countering" them and essentially negating their activation. 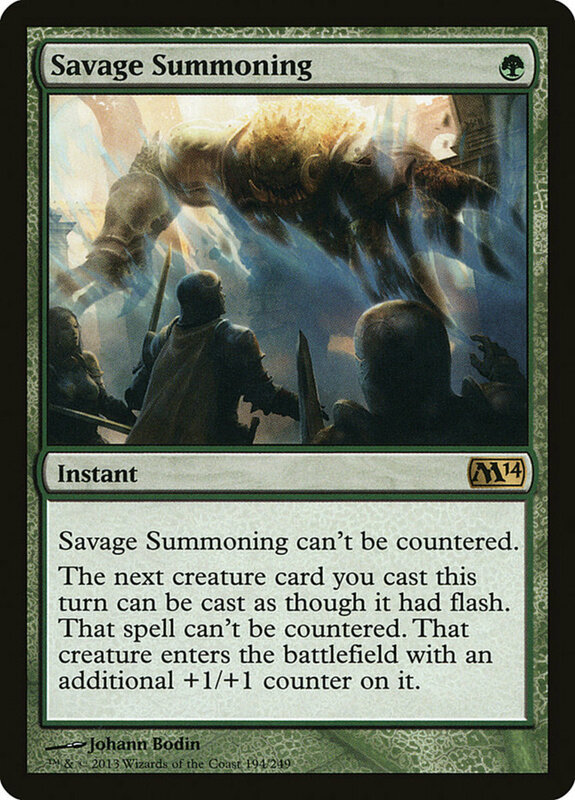 Counters are particularly prevalent in the extended matches of EDH format; how can players fight back against spells that can disable anything you play? Thankfully, we have a wealth of potent anti-counter spells to help bypass blue's tricks. Many are immune to countering and shield your other spells, but with dozens of units available, which barricading forces reign supreme? These are the ten best anti-counter spells in Magic: The Gathering! 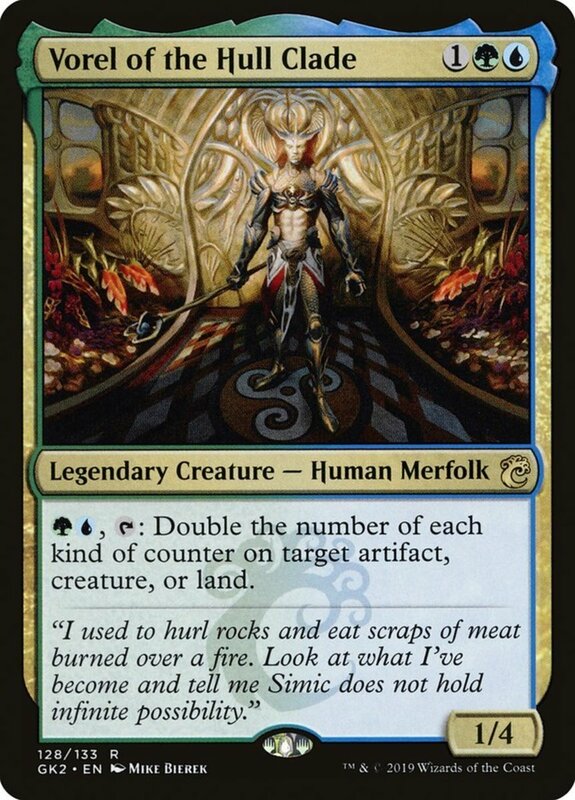 As a legendary creature, Dromoka can serve as commander in EDH format, though her high mana cost makes her a late-game combatant. Still, green's mana ramp prowess helps field her more quickly, she enters with an impressive 5/7 (five power and seven toughness), and she bears flying and lifelink, soaring over ground blockers and recovering health upon dealing damage. 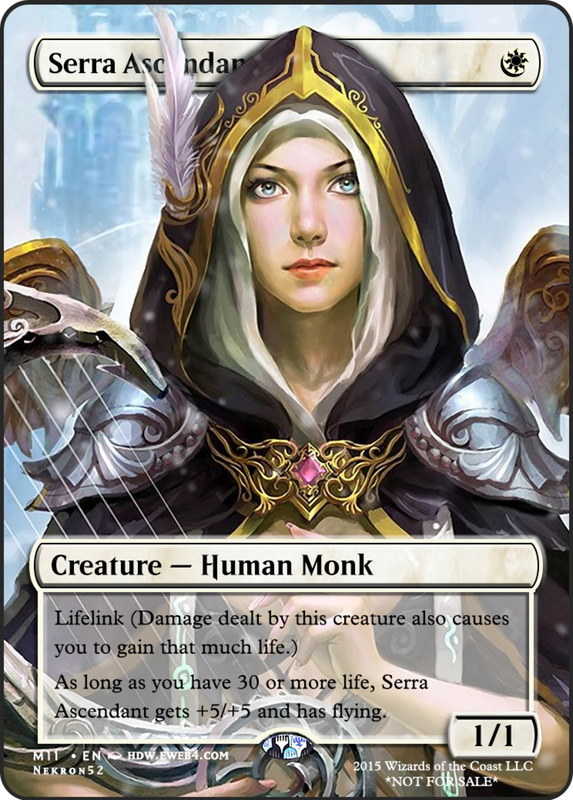 Not only is Dromoka immune to being countered, she prevents your opponents from playing spells on your turn, defending against counterspells and other instant tricks. 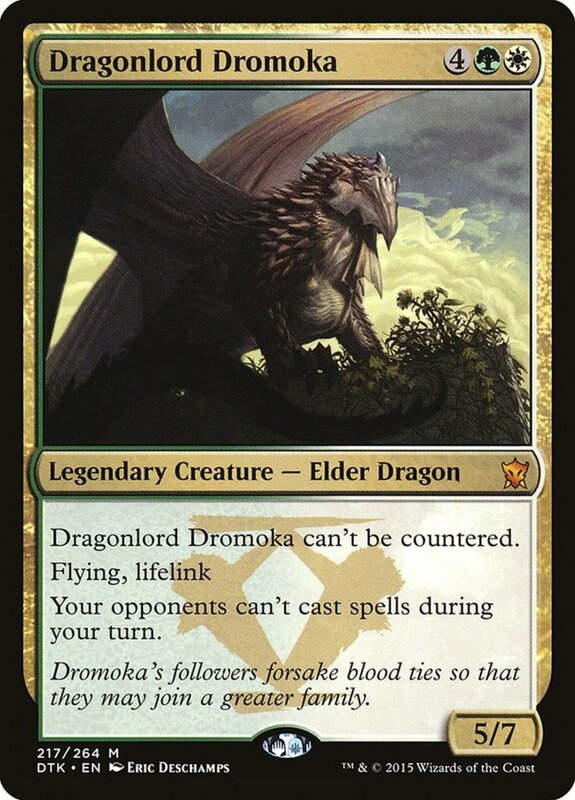 Powerful, life-gaining, and bearing dragon synergies, Dromoka's a formidable unit—the trick is accessing her early enough to make a difference. 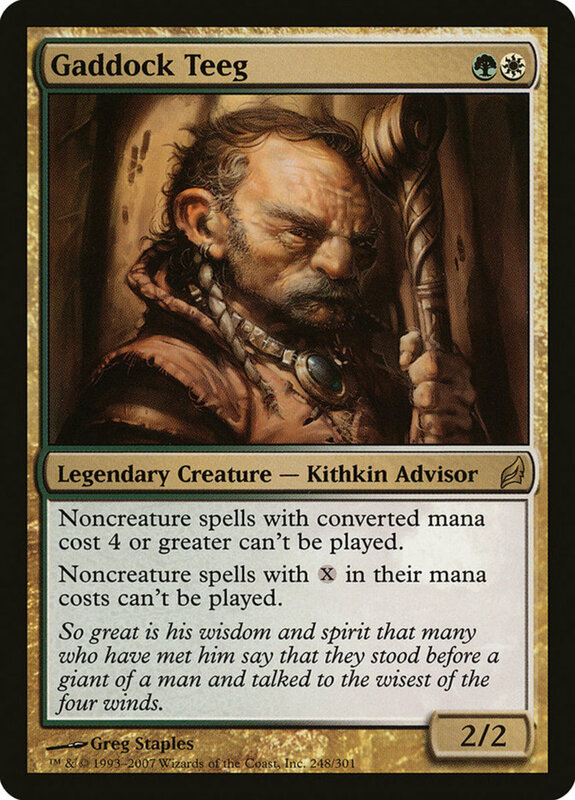 Legendary Teeg shares Dromoka's green/white pairing, but at just two mana, he's on the lower end of mana costs. He enters with a solid 2/2 and prevents all players (including you) from casting noncreature spells with a CMC of four or more, or those that have variable X amounts in their cost. While this isn't specifically an anti-counter tactic, it excellently guards against instants. Inexpensive counters ("Counterspell", "Mana Leak", etc.) 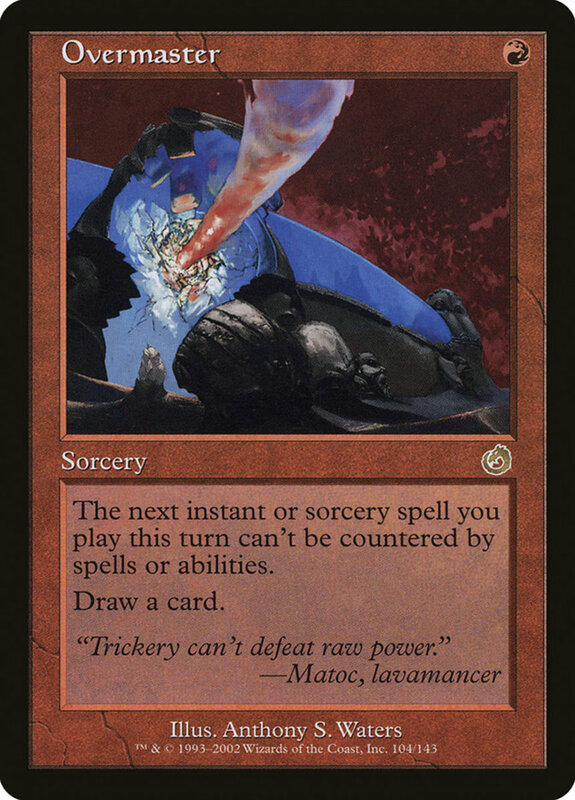 can still break through, but you've handily disabled not only high-cost tricks like "Cryptic Command", but also expensive planeswalkers, enchantments, and other noncreatures tactics. Of course, build your deck accordingly to avoid the net yourself. Yet another legendary creature, Ojutai offers some interesting anti-counter prowess to the blue faction itself. His stats are a respectable 3/4, and he's risky since he himself can be countered. However, after successfully arriving, this human monk prevents your instants, sorceries, and dragon creatures from being countered, offering a plethora of hefty shields. 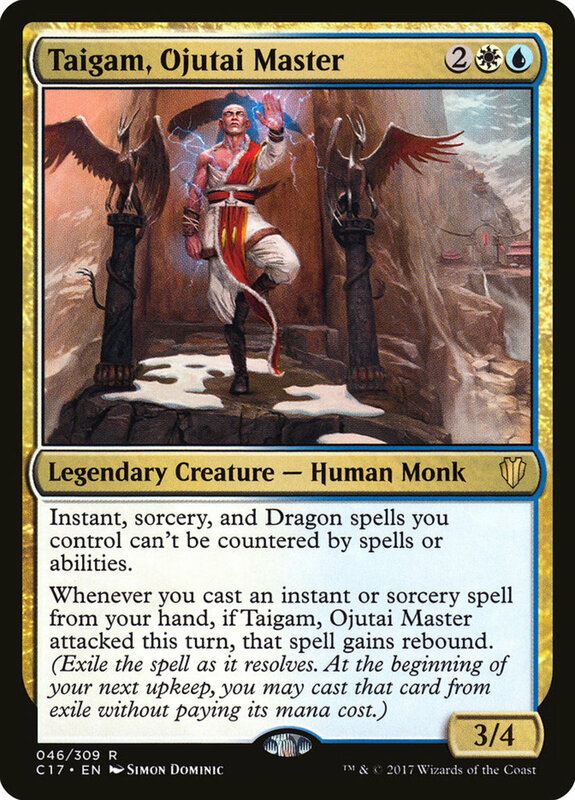 As icing on the cake, if you cast an instant or sorcery on a turn where Ojutai attacked, he grants your spell the valued rebound trait, letting you exile it and cast it again (for free!) during your next upkeep. 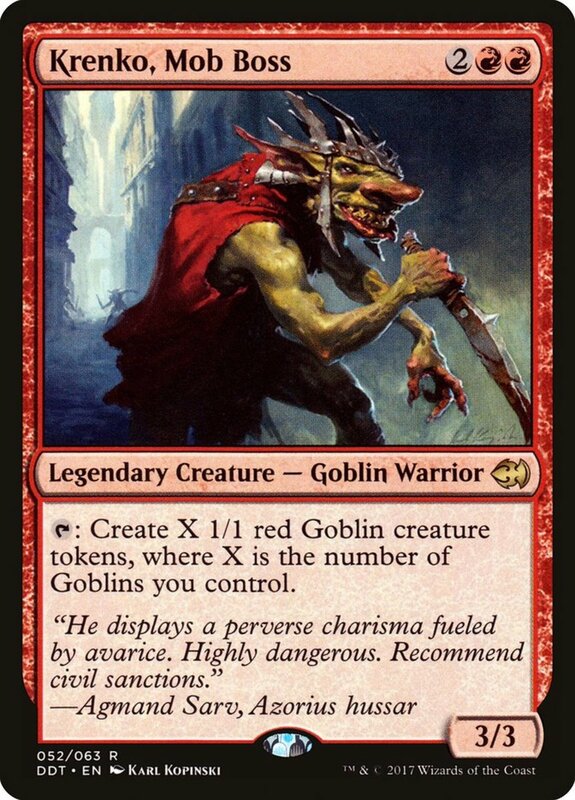 Once he's safely arrived, Ojutai offers several excellent passives and is conveniently just sturdy enough to endure a red "Lightning Bolt", making him a daunting force in EDH. Serpopard bears the unusual but appreciated cat and snake subtypes, stacking well with several white and green clans. He bears an excellent 4/3 stats considering his low price, and can't be countered, ensuring his entrance. 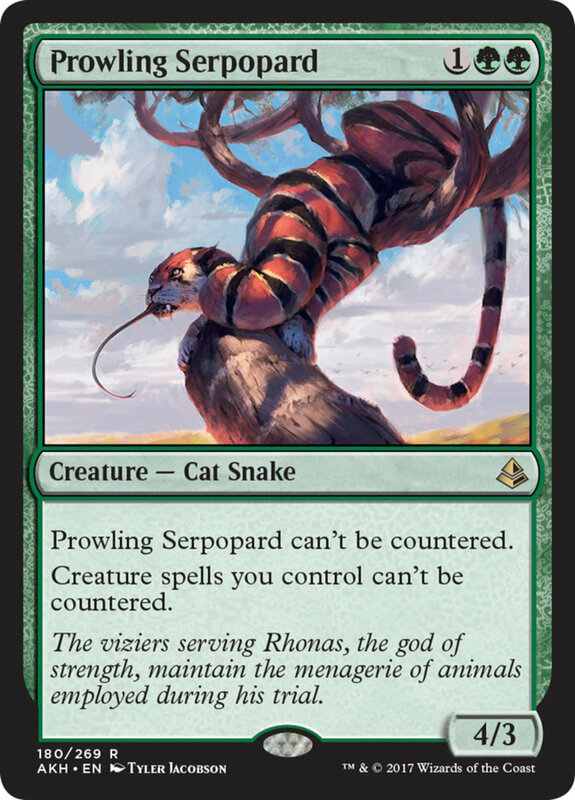 Beyond that, Serpopard grants your other creatures a similar immunity to counters, adeptly protecting your entire army. Since green is known for its beefy monsters, anything that supports and shields them is vital to its success—you'll find few better defenses than Serpopard. While it only works once, Savage Summoning is an inexpensive instant that masterfully empowers an upcoming troop. Summoning can't be countered, and it inoculates your turn's next creature against negation, also granting it flash (letting you play it at instant speed) and having it arrive with an extra +1/+1 counter. All this for a single forest's mana! As a bonus, remember that Summoning also helps activate the reduced costs of cards with surge (who are discounted when you previously play other spells in a round), and adeptly stocks your graveyard for cards with "threshold", "spell mastery", or "delirium" effects. Unlike Summoning, Overmaster only functions at sorcery speed, but its fierce effects more than compensate. For a single red mana, you render your turn's next instant or sorcery immune to being countered. Then, you draw a card. It's as simple as that. While Overmaster itself can be disabled, if it tricks your opponent into countering a single-cost spell, it's accomplished its mission anyway, draining your foe's resources. True, Surrak needs a hefty chunk of five mana, three different colors, and he only protects your creatures spells from being countered. But I'll eat a "Black Lotus" if he's not worth the effort. 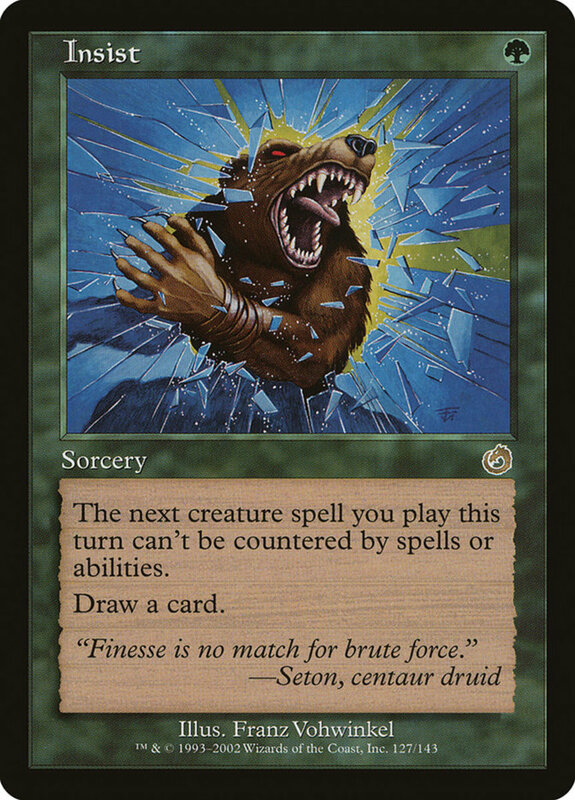 Not only does Surrak enjoy a stellar 6/6 for his price, he also bears flash, letting you cast him at instant speed. Maybe you're still not sold—how about the fact that he himself can't be countered, and he wields the human and warrior subtypes? Still not convinced? Consider that Surrak grants your other creatures trample, letting them bleed excess damage through blockers. If his excellent stats and slew of powerful abilities haven't won you over, maybe his surprisingly low price tag will, often costing less than three dollars! 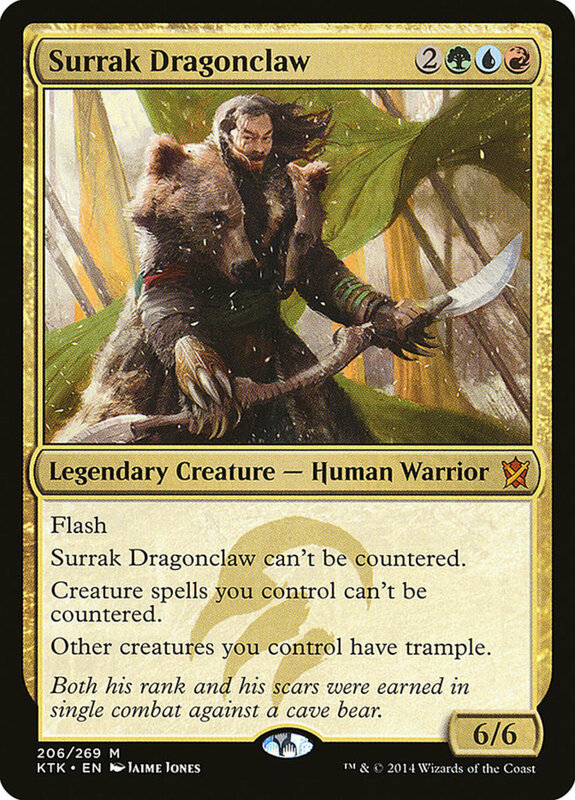 Surrak's a great card that I use whenever I have the corresponding mana types, and I'm genuinely surprised a mythic rare as competitive as him is that cheap. 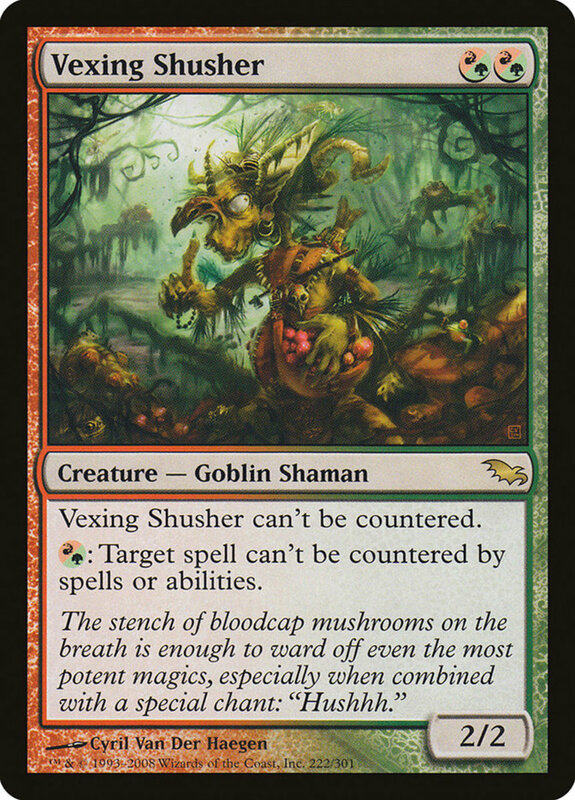 Accepting either red or green mana for his cost, Shusher's easy to field even if your land draws have been stale, and he helpfully belongs to the abundant goblin family (and shaman for good measure). Plus, he wields a fair 2/2, can't be countered, and by spending either a red or green mana, he can render a target spell immune to being countered. Fortunately, you can wait until after your opponent tries to counter, then simply chain Shusher's effect, ensuring you only have to spend the extra mana when your opponent actually attempts a negation. 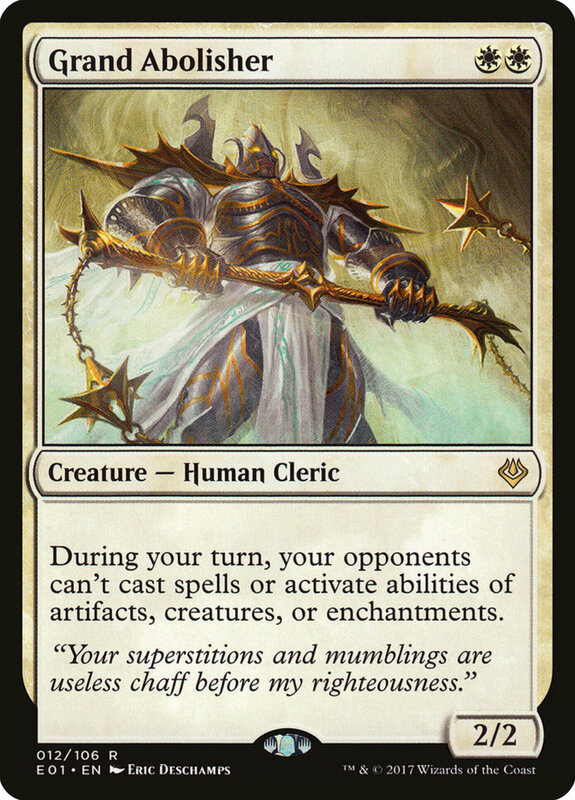 Perhaps my favorite white spell of all time, Grand Abolisher specifically requires two white mana, so he can be a bit unwieldy in multicolor decks. Still, he arrives with a respectable 2/2, the helpful human and cleric subtypes, and prevents your opponent from casting spells and activating abilities on your turn! That's an incredible net for such an inexpensive creature, letting your moves proceed unhindered. 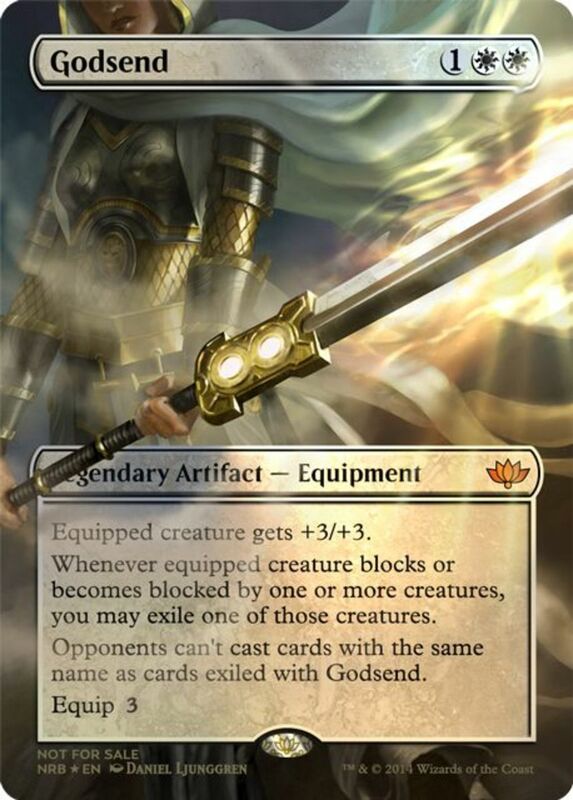 This not only shuts down counters but any other instants or flash spells. 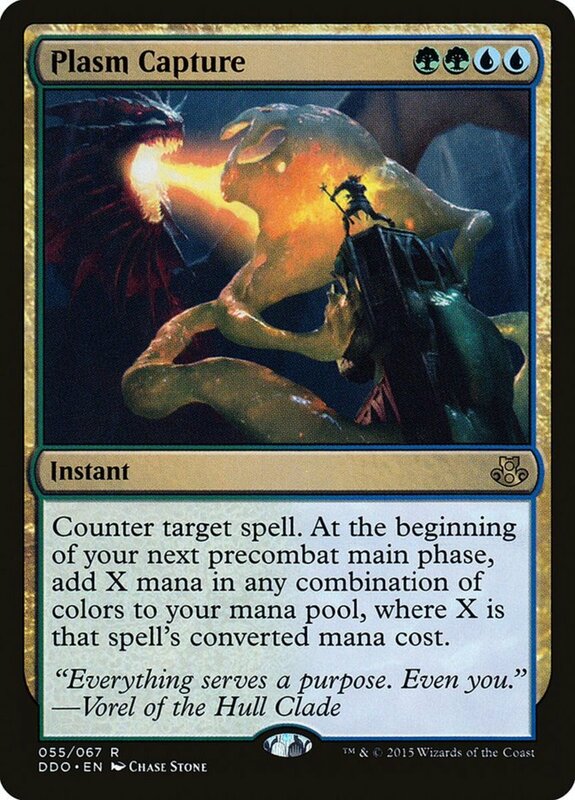 An excellent barrier with a variety of applications, but note that Abolisher himself can be countered (although forcing a counter for a two-cost spell is a win in itself) and doesn't defend during opposing turns, so be careful when casting your own instant shenanigans. If you don't want to devote large portions of your deck to disabling counters, but still seek protection from them, look for battle-worthy beasts like "Mistcutter Hydra" who can't be countered, letting them (if nothing else) pass through unchecked. Additionally, note that cards with cascade make solid anti-counters, as their ability (which plays a spell with a lower CMC from your deck) activates even if negated. Despite blue's prevalence in the extended matches of EDH, we're not without tools to fight back, and today's cards have you well on your way to counter freedom. But for now, as we eagerly await Wizards of the Coast's next batch of anti-counter spells, vote for your favorite card and I'll see you at our next MTG countdown! Great suggestions, those cards are in my notes for a possible follow-up countdown. Souls works great when you're maining a single creature type, and Teferi's excellent as soon as you can afford him.